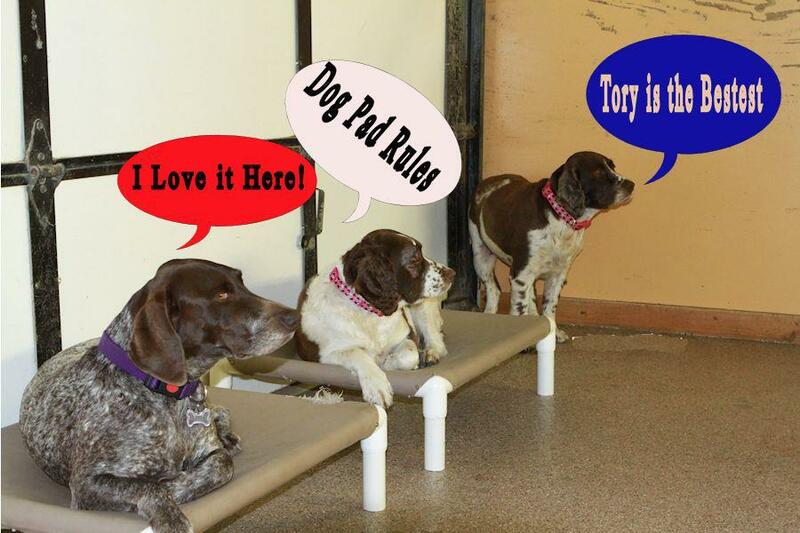 DogPad Boarding is like NO Other! DogPad will come to your house, pick up your dog(s) with the bus and bring them to DogPad for a day of play. The dogs get to play in an open play yard all day under supervision. Have access to plenty of water to drink, a large swimming pool in the warm months and balls to play with. There are several breaks during the day where the clients come inside to rest and relax and get a treat. Toward the end of the play day, any client that got a little dirty, gets a quick bath. At around 3:30, the Day care doggies get on the bus to be taken home to sleep on their own pillows :) The over night clients rest inside for a while before eating supper. Then they rest for a while longer after they eat...go out to go potty and stretch the legs. Then they come inside to settle in for the night on a cot with a pillow or in their own crate. 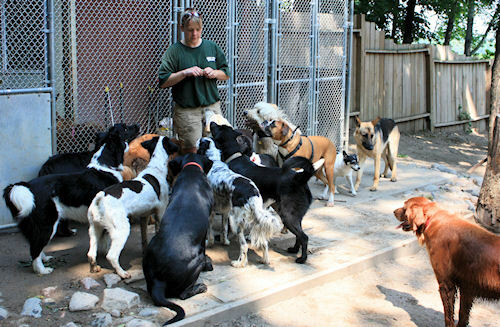 Their day is spent socializing with other friendly and fun dogs where they expend energy and enjoy the day. With Spring Break approaching and people traveling, the Bed n' Biscuit boarding fills up quickly. Plan ahead and reserve a spot on the stay-n-play calendar for your K9 family member in a fun and open environment. Your pet will be able to run free and play with other dogs during the day and night and not be isolated in a cage like at other places. Let your favorite family member enjoy thier time while you are away so you both can have fun and relax. All dogs must come for a tour prior to their first stay with us as well as being up to date on shots including Bordatella. 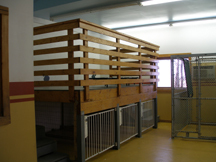 Only 100% cage-free boarding facility in the Metro area. 35,000 sq. ft. indoor/outdoor play area. Dog Pad is a NutriSource dog food dealer. 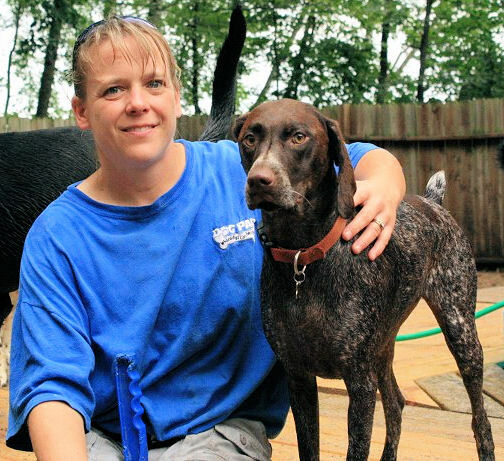 Food and baths are included in boarding fees. Free Pick-up/Delivery in the southwest metro area. Loft area in clubhouse with dog cots for evening belly rubs and a soft cushy bed at lights out. Proof of full vacinations required before first stay. Tour prior to booking is required to make sure of proper temperment. We do have a few Crates, if your dog is more comfortable sleeping in one...or you may bring your own. 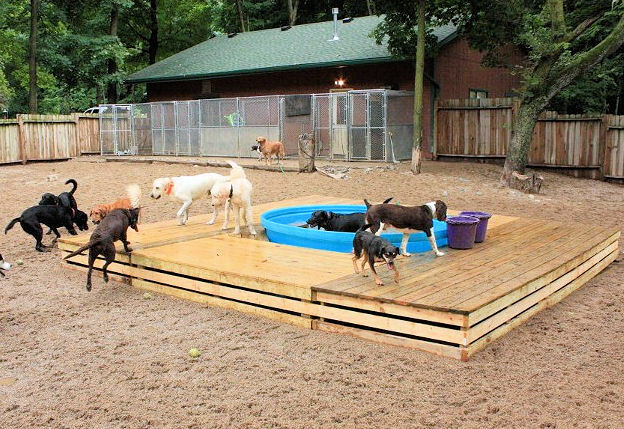 Only Facility with a Large Play Pool for the dogs to enjoy and cool off in! These hours are firmly enforced: There will be additional charges for drop offs or pick ups outside of these hours unless arrangements are made with Tory well in advance. 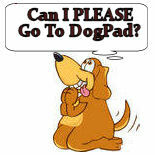 Dog Pad Customers that have Keypad for Garage. 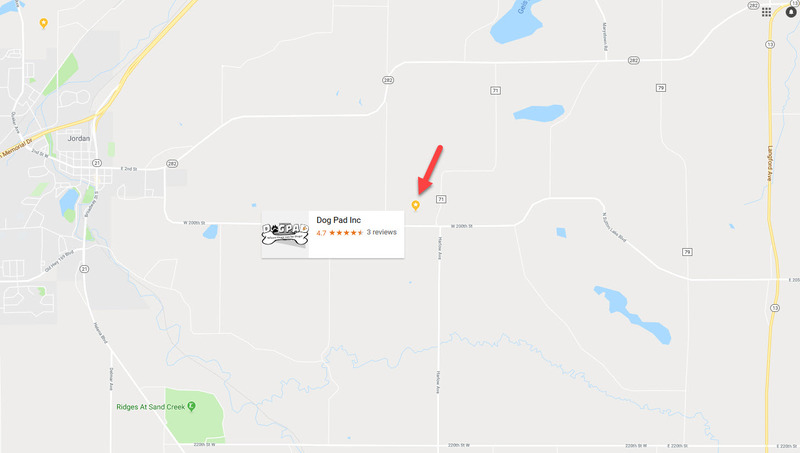 The Dog Pad Delivery bus follows your local School District as far as weather delays and closings. If your school district is 2 hours late, then the Dog Pad Delivery bus will also be 2 hours late. If your school district closes due to weather, then there will be no daycare bus. 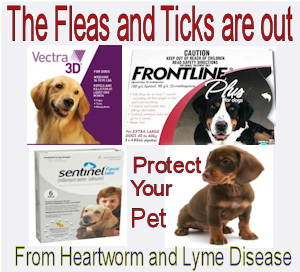 Dogs are fed Nutri Source, the premium (4 Star Rated) house supplied Food. Customers can bring in their own food if they wish. 3:30pm Daycare dogs depart for day, rest time for overnight guests. 6:00pm Stretch the legs for a while and then Dinner time.